The Vedas are considered the earliest literary record of Indo-Aryan civilization and the most sacred books of India. They are the original scriptures of Hindu teachings, containing spiritual knowledge encompassing all aspects of life. The philosophical maxims of Vedic literature have stood the test of time, and the Vedas form the highest religious authority for all aspects of Hinduism and are a respected source of wisdom for mankind in general. The word Veda means wisdom, knowledge or vision, and it serves to manifest the language of the gods in human speech. The laws of the Vedas have regulated the social, legal, domestic and religious customs of Hindus up to the present day. All the obligatory duties of Hindus at birth, marriage, death etc. are guided by Vedic rituals. 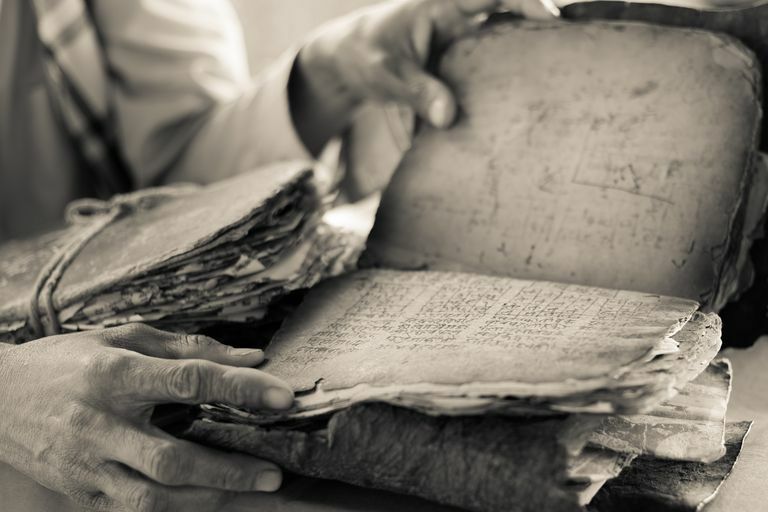 It is difficult to say when the earliest portions of the Vedas came into existence, but it seems clear they are among the very earliest written wisdom documents produced humans. As the ancient Hindus seldom kept any historical record of their religious, literary and political realization, it is difficult to determine the period of the Vedas with precision. Historians provide us many guesses but none are guaranteed to be precise. It is thought, though, that the earliest Vegas may date back to roughly 1700 BCE—the late Bronze Age. The Vedas are classified into four volumes: the Rig-Veda, the Sama Veda, the Yajur Veda and the Atharva Veda, with the Rig Veda serving as the principal text. The four Vedas are collectively known as “Chathurveda, ” of which the first three Vedas--Rig Veda, Sama Veda, and Yajur Veda--agree with one another in form, language and content. Each Veda consists of four parts--the Samhitas (hymns), the Brahmanas (rituals), the Aranyakas (theologies) and the Upanishads (philosophies). The collection of mantras or hymns is called the Samhita. The Brahmanas are ritualistic texts that include precepts and religious duties. Each Veda has several Brahmanas attached to it. The Aranyakas (forest texts) intend to serve as objects of meditation for ascetics who live in forests and deal with mysticism and symbolism. The Upanishads form the concluding portions of the Veda and is therefore called the “Vedanta” or the end of the Veda. The Upanishads contain the essence of Vedic teachings. Although the Vedas are seldom read or understood today, even by the devout, they no doubt form the bedrock of the universal religion or “Sanatana Dharma” that all Hindus follow. The Upanishads, however, are read by serious students of religious tradition and spirituality in all cultures and are regarded as principle texts within the body of mankind's wisdom traditions. The Vedas have guided our religious direction for ages and will continue to do so for generations to come. And they will forever remain the most comprehensive and universal of all ancient Hindu scriptures. The Rig Veda is a collection of inspired songs or hymns and is a main source of information on the Rig Vedic civilization. It is the oldest book in any Indo-European language and contains the earliest form of all Sanskrit mantras, dating back to 1500 BCE- 1000 BCE. Some scholars date the Rig Veda as early as 12000 BCE - 4000 BCE. 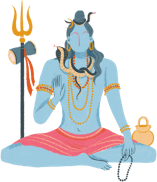 The Rig-Vedic ‘samhita’ or collection of mantras consists of 1,017 hymns or ‘suktas’, covering about 10,600 stanzas, divided into eight ‘astakas,’ each having eight ‘adhayayas’ or chapters, which are sub-divided into various groups. The hymns are the work of many authors, or seers, called ‘rishis.’ There are seven primary seers identified: Atri, Kanwa, Vashistha, Vishwamitra, Jamadagni, Gotama and Bharadwaja. The rig Veda accounts in detail the social, religious, political and economic background of the Rig-Vedic civilization. Even though monotheism characterizes some of the hymns of Rig Veda, naturalistic polytheism and monism can be discerned in the religion of the hymns of the Rig Veda. The Sama Veda is purely a liturgical collection of melodies (‘saman’). The hymns in the Sama Veda, used as musical notes, were almost completely drawn from the Rig Veda and have no distinctive lessons of their own. Hence, its text is a reduced version of the Rig Veda. As Vedic Scholar David Frawley puts it, if the Rig Veda is the word, Sama Veda is the song or the meaning; if Rig Veda is the knowledge, Sama Veda is its realization; if Rig Veda is the wife, the Sama Veda is her husband. There are no less than six complete recessions of Yajur Veda--Madyandina, Kanva, Taittiriya, Kathaka, Maitrayani and Kapishthala. The last of the Vedas, this is completely different from the other three Vedas and is next in importance to the Rig Veda with regard to history and sociology. A different spirit pervades this Veda. Its hymns are of a more diverse character than the Rig Veda and are also simpler in language. In fact, many scholars do not consider it part of the Vedas at all. The Atharva Veda consists of spells and charms prevalent at its time and portrays a clearer picture of the Vedic society.